TECH billionaire Elon Musk may have helped keep the lights on in Adelaide with super-sized batteries and his Hyperloop train could slash travel times, but the Thai Government gave him short shrift on his 11th-hour plan to rescue the stranded boys. On Tuesday, mission commander and former Chiang Rai province governor Narongsak Osottanakorn said the rescue squad would not need the mini-submarine created by the Tesla co-founder and CEO as it was "not practical". 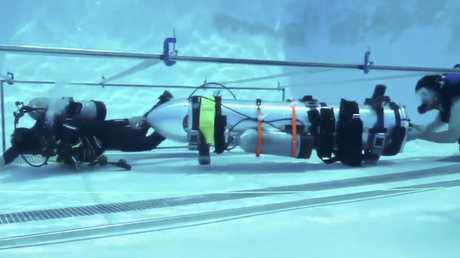 Musk had been tweeting up a storm about the benefits of the "tiny, kid-sized submarine" he'd been furiously testing in a Los Angeles swimming pool. 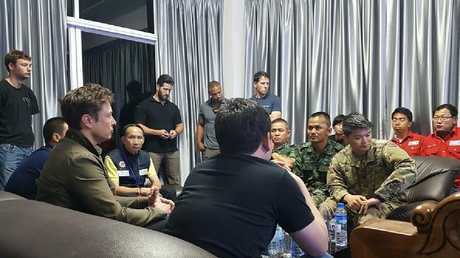 On Tuesday, he said he had just returned from the Tham Luang Nang Non cave complex where 12 Thai boys and their coach were trapped, after delivering the rescue device. "Mini-sub is ready if needed. 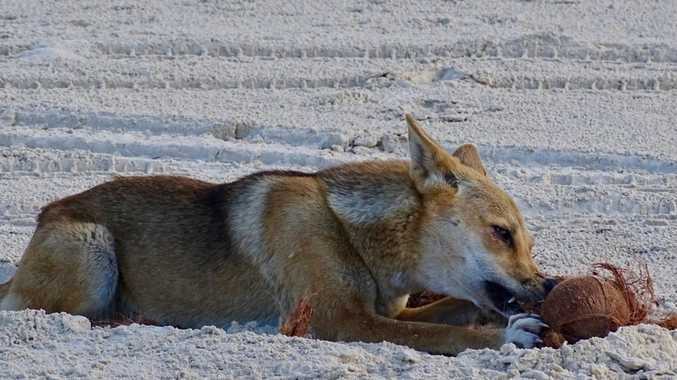 It is made of rocket parts and named Wild Boar after kids' soccer team," he wrote. "Although his technology is good and sophisticated it's not practical for this mission," Mr Narongsak said. Musk fired back at this claim, saying the former provincial governor was "not the subject matter expert" and sharing his correspondence with leader of the dive rescue team Richard Stanton. "Right now, I have one of the world's best engineering teams who normally design spaceships and spacesuits working on this thing 24 hours a day," Musk's email to Stanton dated July 8 read. "If it isn't needed, that would be great to know." Stanton replied: "It is absolutely worth continuing with the development of this system in as timely a manner as feasible. If the rain holds out it may well be used." 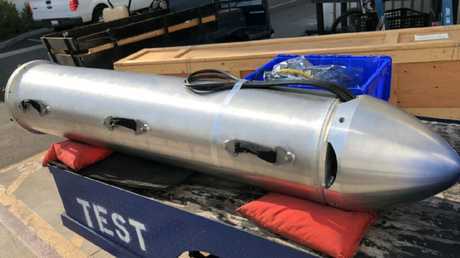 The tech entrepreneur said parts were being assembled for underwater testing before being put on a plane. He said the operating principle was the "same as spacecraft design - no loss of life even with two failures." In an ominous indication of just how precarious the rescue operation was, Stanton then sent another email: "We're worried about the smallest lad please keep working on the capsule details." Musk's engineers designed a metallic escape pod based on "feedback from Thailand," using a large silver tube meant to be affixed to a SpaceX Falcon 9 rocket. The person inside would not need to swim or know how to use oxygen bottles. Earlier in the week, the tech boss described the device as "basically a tiny, kid-size submarine using the liquid oxygen transfer tube of Falcon rocket as hull". He said it was "light enough to be carried by two divers, small enough to get through narrow gaps" and "extremely robust". On Monday, Musk had tweeted a short video of the sub being tested in a suburban LA pool. Guided by divers at the front and rear of the craft, it was inched through a metal framework supposed to resemble the tight submerged spaces in the tunnel complex. But with some of these just 38cm wide, the sub would have to be immensely manoeuverable given divers have had to take off their oxygen tanks to squeeze through the narrow passages. The third rescue mission to retrieve the four remaining boys and their soccer coach was ultimately completed in a lower tech fashion. Each boy and their coach was fitted with a wetsuit, boots and full face mask with oxygen supplied from a tank carried by another diver. They followed a guide rope through the tunnel system with a diver in front and one behind them to help them in the difficult flooded passages. Musk's sub may have been a dud for this mission, but his battery in South Australia is firing on all cylinders. Officially turned on in December, the world's largest lithium-ion battery responded quickly later that month when the coal-fired Loy Yang power plant tripped and went offline. "That's a record and the national operators were shocked at how quickly and efficiently the battery was able to deliver this type of energy into the market," then Energy Minister Tom Koutsantonis said. The battery, in the state's mid north, was switched on after being built by Musk's company Tesla in less than 100 days following a series of blackouts in South Australia.